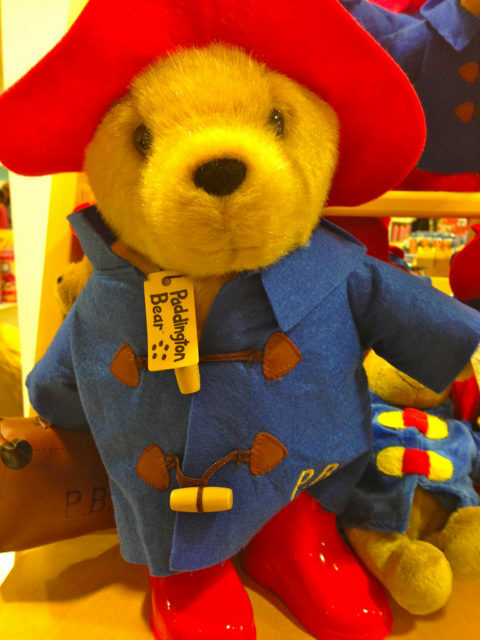 A great many children have adored a certain brown bear dressed in a blue duffel coat with toggle fastenings, floppy felt hat, and red Wellington boots, better known as Paddington Bear. 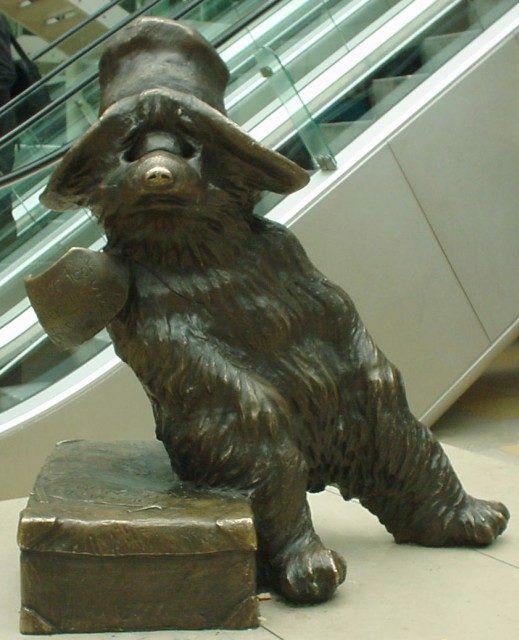 This remarkable fictional character was created by British writer Michael Bond, who died on June 27, 2017, aged 91, in his London home after a short illness. Thomas Michael Bond was born in Newbury, Berkshire, on January 13, 1926. Bond attended Presentation College, a Roman Catholic school in Reading, but dropped out at 14. During World War II, he served in both the Royal Air Force and the British Army. In 1965, on Christmas Eve, Bond was heading back home from his work as a TV camera operator at the BBC when, reportedly, he stopped by Selfridges Department Store and saw a toy bear left on a shelf that looked rather forlorn. He bought the toy as a Christmas present for his wife, took it home, and soon after began writing a story about it. Only 10 days later he had a novel, one bought by William Collins & Sons. The books were such a success that they have been translated into over 40 languages and have sold more than 35 million copies worldwide. Bond has said he was surprised by all the translations because he thought that Paddington was essentially an English character. After all, his favorite food is marmalade sandwiches, and he often participates in cricket matches and riding competitions, he visits the London theater, and he goes shopping on Portobello Road. 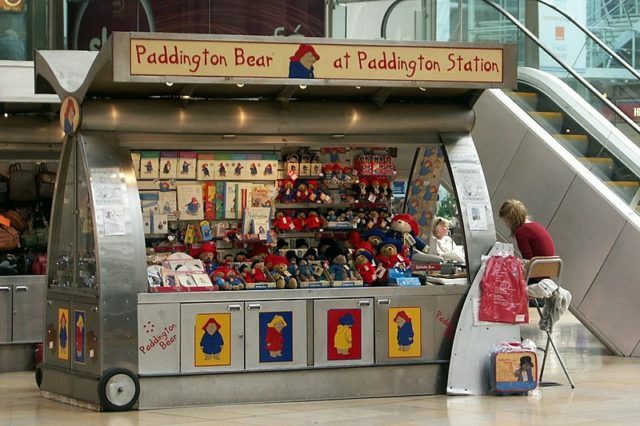 The story of Paddington Bear begins on a railway platform at the Paddington Station. The characters Mr. and Mrs. Brown spot the small brown bear at the station, seated on an old leather suitcase, learning that the bear has emigrated from “darkest Peru” because his aunt had gone to a retiring home for old bears in Lima. The bear wears a tag that reads, “Please look after this bear. Thank you.” The Browns take the bear home, giving him a new life with the rest of their family, neighbors, and friends around them. Bond worked for a long period for the BBC after the war, even after A Bear Called Paddington was published, but in 1965 he quit his job after the Paddington novels were so popular that he could become a full-time writer. 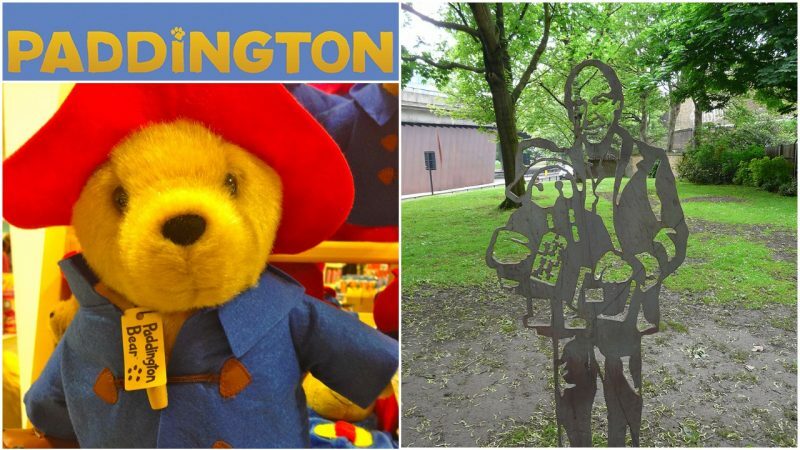 Paddington’s fame expanded in the 1970s after the production of the first stuffed animal version, and the first television series became a hit on the BBC in Britain and on various other networks, including HBO and Nickelodeon. This merchandising of Bond’s character brought him wealth but also a lot of pressure, caused by the constant demands of the audience. In 1997, Bond was made an Officer of the Order of the British Empire and later, in 2015, a commander for services to children’s literature. 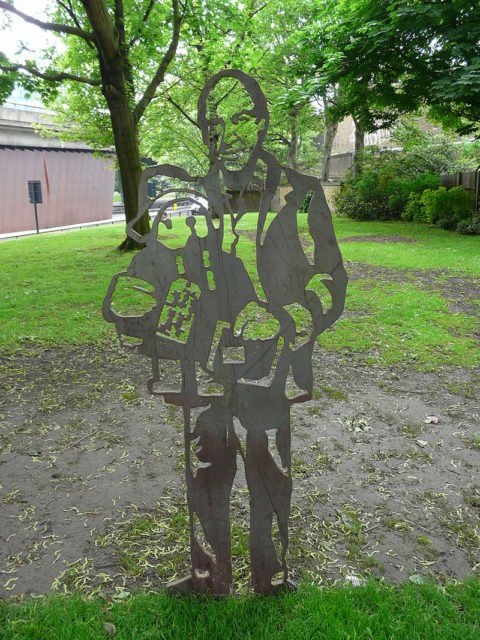 Although the book series seemed to end in 1979, in 2008, Bond revived the Paddington story, when he wrote Paddington Here and Now in which the famous hero’s immigration status is being questioned. Bond’s latest novel is called Paddington’s Finest Hour and was published in 2017. Bond is survived by his wife, two children, and four grandchildren. This entry was posted in ART, England, Europe, History, Travel, World by rolyred. Bookmark the permalink.